"Gave me a car to use whilst I was waiting at very short notice great"
The Vauxhall Astra GTC you searched for (FE15VTT) is no longer in stock. Here are more cars which might be of interest. There are lots of aids on this GTC such as Hill start assist, Dark tinted rear windows, Cruise control, Steering wheel mounted audio controls and the Sight and light pack - Astra GTC has been added. 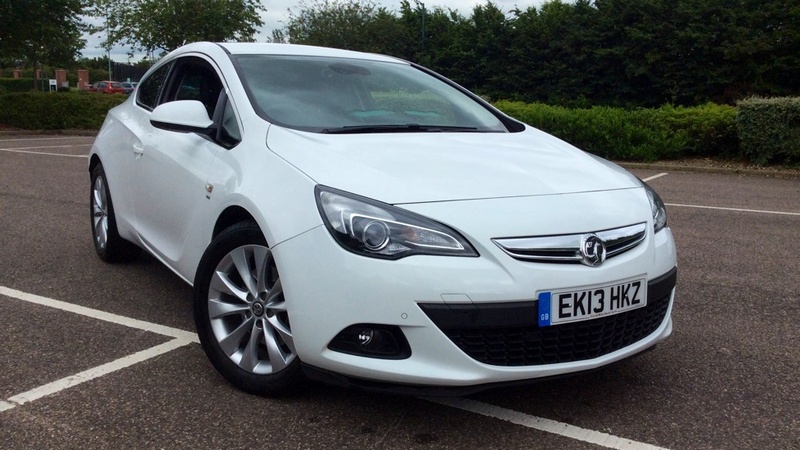 This GTC has had Front and Rear parking distance sensors and Brilliant paint added as extras. This Vauxhall GTC includes alarm, sport seats, cloth seat trim, front fog lights, air conditioning, CD player, cruise control, traction control, heated and electric mirrors, alloy wheels and ABS. Here we have a Vauxhall GTC that comes in a gorgeous red finish. This particular vehicle has a unique feature of having a large interior - very rare for a car of this class. Specification includes Cruise Control, Speed Limiter, Bluetooth Connectivity, Fingertip Audio Controls, Air Conditioning, Alloy Wheels and more. Contact us for full specification and to arrange a test drive. A great choice for those looking for a powerful vehicle that really stands out from the crowd.